B 2923 (Chiu) Allows BART to develop transit-oriented housing on existing BART-owned land. AB 1771 (Bloom) Requires local agencies to prepare their Regional Housing Needs Assessments using new guidelines that promote infill development, affirmatively furthering fair housing and other provisions. AB 1804 (Berman) Extended CEQA's categorical exemption for infill development to unincorporated ares of cities. 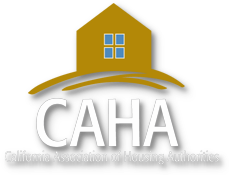 AB 2162 (Chui) Allows supportive housing developments to be a "use by right" in areas which are properly zoned for residential and mixed-use uses. AB 2797 (Bloom) Allows density bonus laws to be used in Coastal Zones. AB 2372 (Gloria) Allows Floor Area Ratios to be used in calculating density bonuses for small unit projects without parking. The 2018 – 2019 state budget includes $550 million in emergency funding to help local government acrossthe state address homelessness. In addition, the state’s Homeless Coordinating and Financing Council, which will distribute the emergency funding, was expanded and elevated to the California Business, Consumer Serv. Services and Housing Agency (BCSH) on July 1, 2018. Dedicated staff will be hired to support the Council. The grants will provide funding to local governmentsto respond to homelessness through prevention efforts, emergency aid and providing wrap‐around services. Local Continuums of Care, the regional or local planning bodies that coordinate housing and services funding for homeless families and individuals, will administer the grants. $250 million to be distributed to Continuums of Care, with the amounts based on their point‐in‐time count of homeless individuals; $100 million allocated to local Continuums of Care based on their percentage of the statewide homes population; and $150 million in direct allocation to a city, or city that is also a county, with a population over 330,000. The notice of funding availability for the Homeless Emergency Aid Block Grants will be released late this summer, with the goal of distributing the money starting in the fall. Here’s an update on the bills that we are following. AB 1768 (Steinorth). This bill allows the San Bernardino Housing Authority to join the Middle Income Housing Development Pilot Program established last year by AB 1637. Signed into law by Governor. AB 1771 (Bloom). This bill is a major overhaul of the Regional Housing Needs Assessment (RHNA) which must be achieved in order for the Housing Package of 2017, and other future funding bills, to be successfully used. It is being extensively revised as it progresses, but it addresses not just RHNA allocations, but also considers low‐income mobility for better access to good schools and jobs, the need to prevent displacement, and affirmative further fair housing. AB 1804 (Berman). This bill grants a categorical CEQA exemption to infill projects being developed in unincorporated areas of a county. It amends the bill (passed last year) that allows this exemption only within city limits. AB 2372 (Gloria). This bill provides an alternative to density bonuses, the floor area ratio bonus, to projects which choose not to request density bonuses based on units per acre. The bill benefits high‐density smaller projects and releases them from parking requirements that would otherwise be imposed by local agencies. On Senate Floor. Second Reading. AB 2562 (Mullin). This bill, along with continuing efforts to revise the Department of Housing's Uniform Multifamily Regulations (UMRs), is a technical bill that would enable the MHP program to function more efficiently. In particular, it would allow HCD to set interests rates on loans at a rate less than the Applicable Federal Rate, which would result in big savings to developers. AB 2923 (Chiu and Grayson). This bill requires parking structures on BART land to be used for housing and requires local agencies to amend their local planning and zoning ordinance to allow for these projects. The projects would have to meet all the TOD requirements, and would provide for 35% affordable housing units. SB 828 (Weiner). This bill is another bill addressing RHNA requirements. It has moved to the Assembly, where it will continue to be revised. This bill is also necessary to ensure a more fair process in making RHNA allocations. AB2887 (Aguiar-Curry) was inadvertently left out of the list of bills we are following. This bill corrects of number of problems and issues that have plagued migrant housing for years. Another issue related to migrant housing, which was part of a budget trailer bill signed by the Governor, provides an exemption to the 50-mile rule for migrant families who have school-age children. Before this bill was passed, migrant families had to move 50 miles away from their homes for three months a year to be eligible to return to their homes in the next season. Now up to 50% of the units are exempt from this requirement. Proposition 1. SB 3 (Beall). voters, will issue $4 billion of bonds for a variety of statewide housing programs, including additional funding for going programs currently being administered by HCD and CalHFA. See link to full analysis of Proposition 1. The No Place Like Home Act, previously passed by the Legislature, to provide funding for housing the chronically mentally is now on the ballot for approval by the people of the State of California. Expands Local Governments’ Authority to Enact Rent Control on Residential Property. Repeals state law that currently restricts the scope of rent‐control policies that cities and other local jurisdictions may impose. Allow policies that would limit the rental rates that the residential‐property owners may charge for new tenants, new construction, and single family homes.